The Ketchams make a great team when it comes to disaster response. 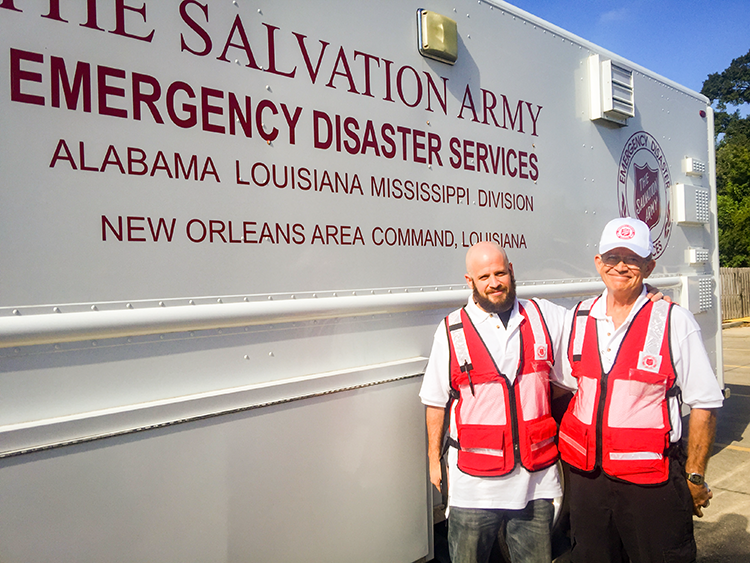 The father, son duo are one of the most experienced crews working in Baton Rouge this week following historic flooding throughout many parts of Southern Louisiana. “I know how he wants things…I can anticipate what he wants,” said Ike Ketcham. Dan drives and Ike navigates. They have worked as a team since Hurricane Gustav. The pair moved to New Orleans shortly after Hurricane Katrina hit looking for work in construction. What they found was a way to help those in desperate need. Despite how “fluid” things seem to go on their canteen, their relationship hasn’t always been so smooth. Not too long ago, Dan was asked to read the bible scripture during church services at the New Orleans Salvation Army. He read from Luke 15…the story of the prodigal son. “It took me a long time to read that cause my son was lost. I got choked up,” said Ketcham. Ike saw what that scripture did to his father. Dan says he can’t explain what happened after that but Ike did a one eighty. At one time, caught up in drugs and alcohol, Ike says The Salvation Army changed his life. Now, the Ketchams run their “ministry” out of a canteen each time they are called upon. “I see how people are grateful, and the community is changed. It blows my mind every time we go out,” said Ike. “The Salvation Army is a family, they welcomed me with open arms, and that’s what I do from the canteen,” says Dan.